Peter McIntosh first learned the technical aspects of photography while serving as an Aviation Photographer's Mate in the U.S. Navy. He is a Hambidge Fellow, having completed a residency program at the prestigious Hambidge Canter. Peter’s photos often appear in the Travel Section of the Atlanta Journal / Constitution. His photos have appeared in numerous publications including National Geographic Traveler, The Wall Street Journal, Budget Travel Magazine, AT Journeys, Southern Living, Points North and Oxford American. 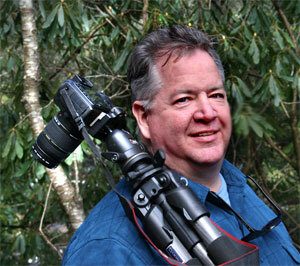 Peter is both writer and photographer for a monthly adventure column in The Georgia Mountain Laurel Magazine. Peter is a noted conservation photographer supporting the efforts of American Rivers, The Appalachian Trail Conservancy, The Nature Conservancy, The Wilderness Society, Georgia Forestwatch, The Chattooga Conservancy and Upper Chattahoochee River Keepers. In Rabun County Peter is represented by Timpson Creek Gallery in Clayton. Peter’s photographs are part of important collections in Atlanta, Palm Beach, Winter Park, Telluride, New York City, London and Doha, Qatar.